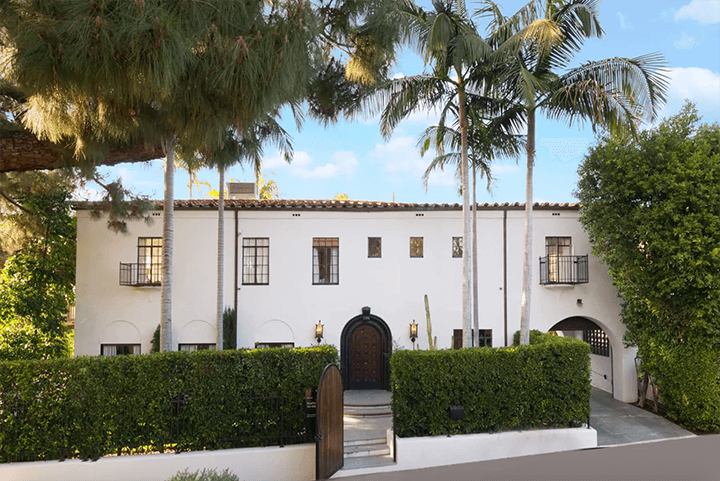 Built in 1931 north of Franklin Avenue, 2017 Kenmore Ave sits just behind a band of tall ficus enclosing the front, gated yard. 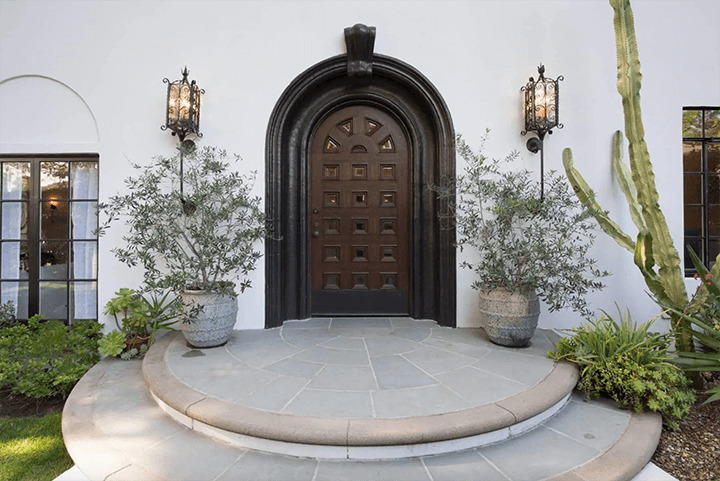 The façade’s architectural details includes a rounded entry door with dark wood trim that opens to 3,439 square feet of interior space spanning two floors. Features include original hardwood floors, an ornate double-sided fireplace opening to the living room and den, dentil crown moldings lining many of the high ceilings throughout, and a spectacular chef’s kitchen with a center island and a wall of windows looking out to the tropical backyard with a pool. One of the four bedrooms is located on the first level and can double as a guest room. 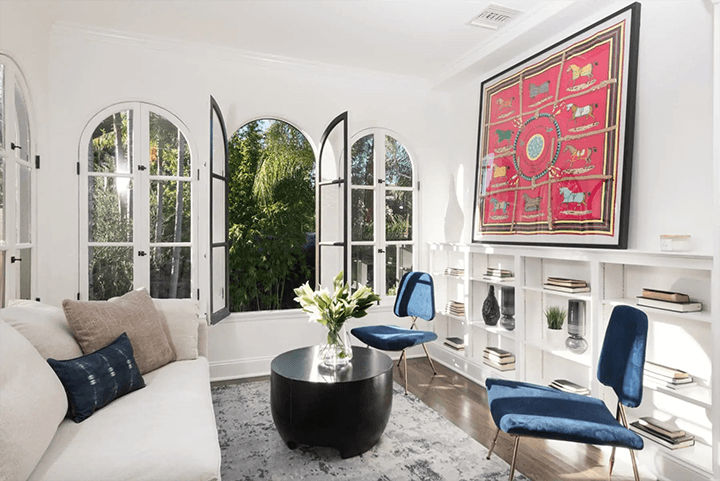 The other bedrooms are on the second floor, each with en-suite bathrooms, iron balconies, and plenty of arched windows streaming natural light, and views of the Griffith Park Observatory and surrounding hillside. 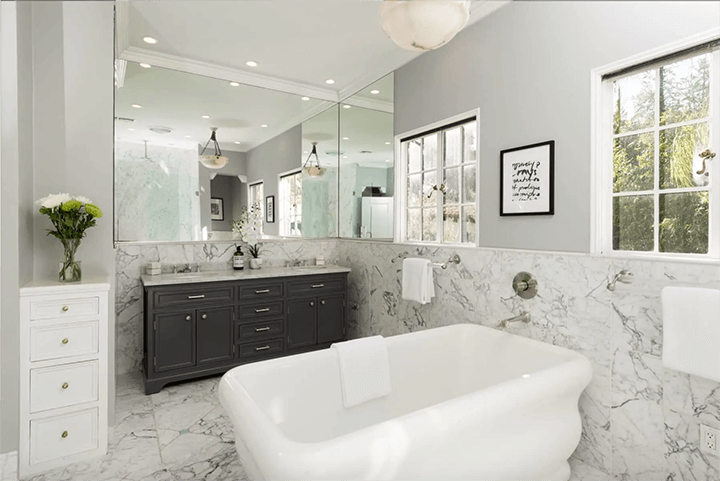 The master includes a sitting nook with arched windows overlooking the pool, walk in closets with built-ins, and a spa-sized master bath with soaking tub and double sinks. In addition to the pool and spa, the 6,483-square-foot lot has a private drive leading to a two-car garage. 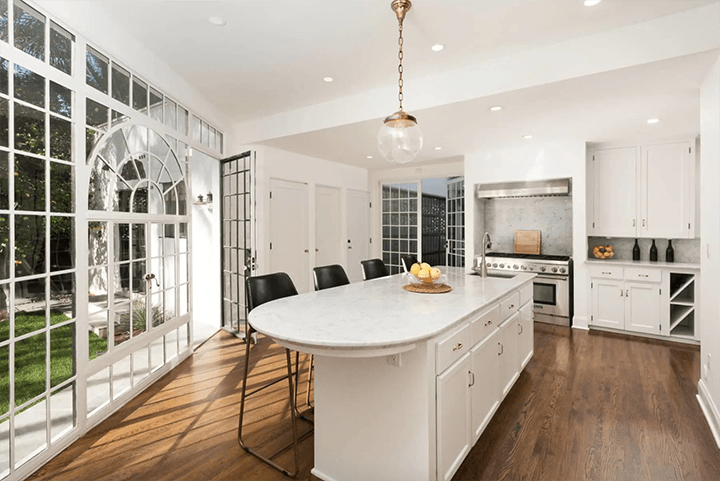 Last sold for $2.805 million in 2014, the home is now listed for $3.4 million. Interested in seeing this exquisite Spanish home? Get in touch by email or call (323)829-4440 to schedule a showing.